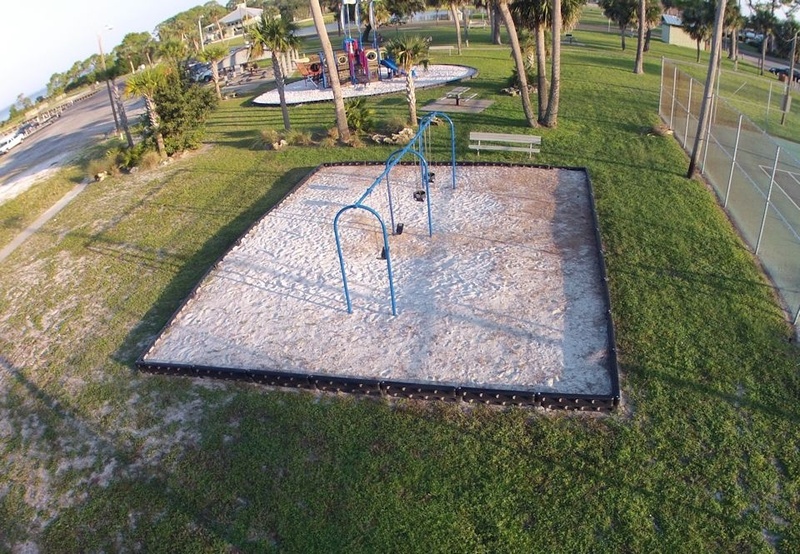 Located in the heart of Port St. Joe at the intersection US Hwy. 98 and U.S. Hwy. 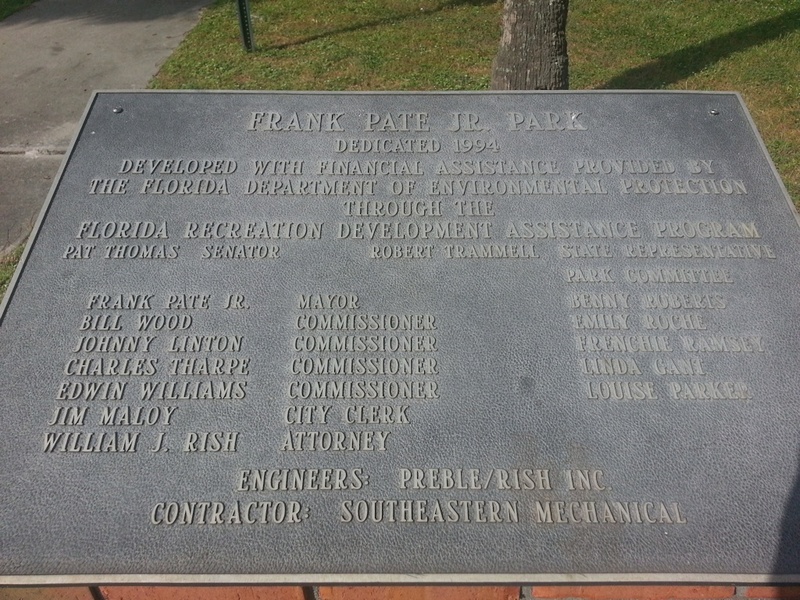 71, Frank Pate Park is one of the original parks in the city's park system. Bordered on the west by St. Joseph Bay, and on the east by Hwy. 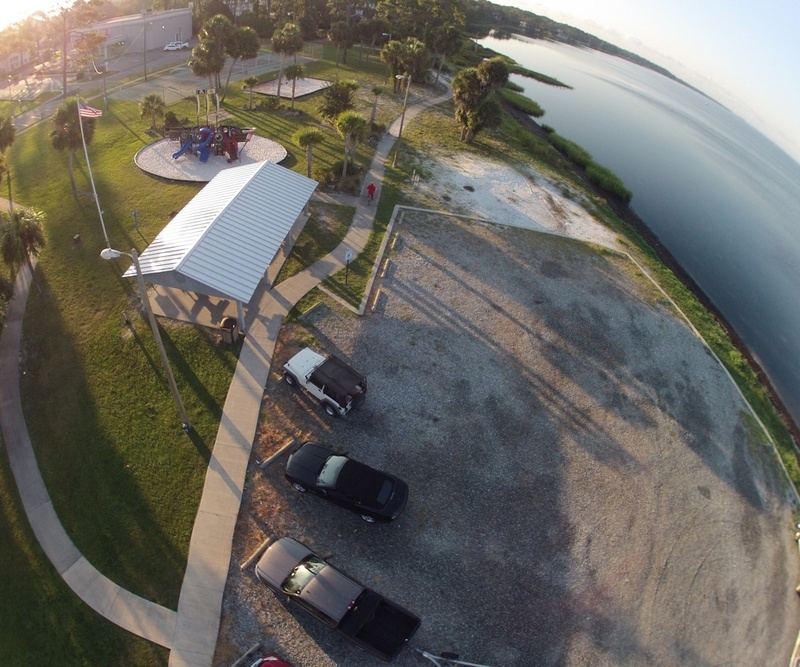 98, the park has always been a popular destination for tourists, and a frequent venue for local events and community gatherings. 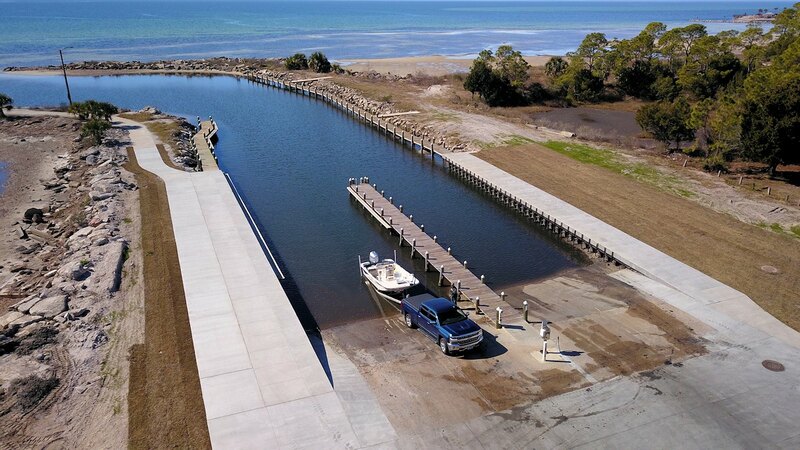 The park includes a 4-wide boat launch facility with a center dock; the area's best access to the recreational opportunities of St. Joseph Bay. 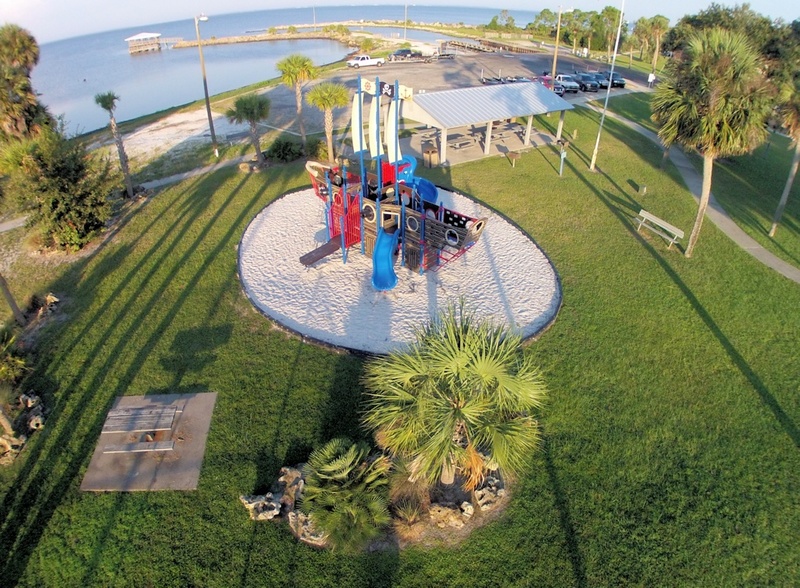 You will also find the park's much-photographed iconic fishing pier, state-of the art playground including a pirate ship themed gym, swings, a covered pavilion with picnic tables, sitting benches under stately oak trees, public restrooms and a lighted tennis court. 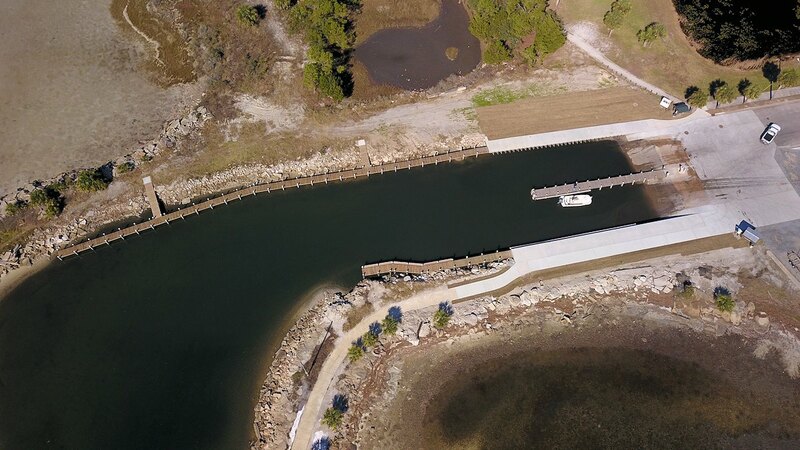 Boat Launch permits assist in operating and maintaining the boat launch. City & County Residents Annual Pass: No Charge, must provide a photocopy of your valid Florida Driver's License showing a Gulf County address. Daily launch permits are available on site and accept cash, coins and checks. Problems with the pay station? 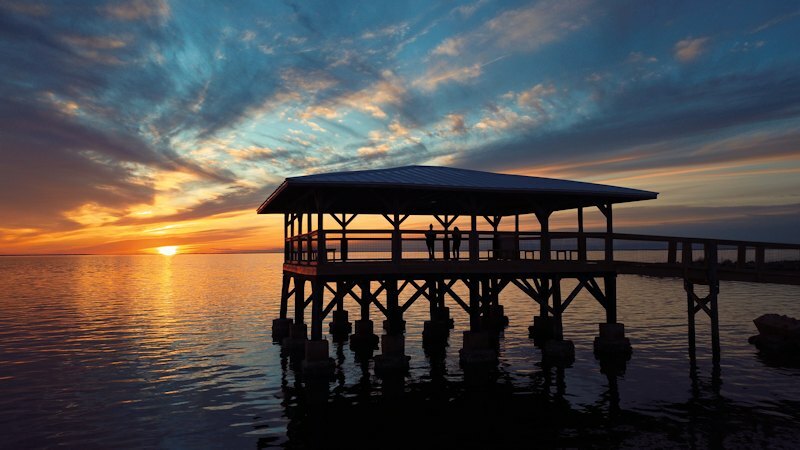 Call City of Port St Joe 850-229-8261 during business hours, Monday-Friday, 8 a.m. to 5 p.m., after hours call 850-227-8152. 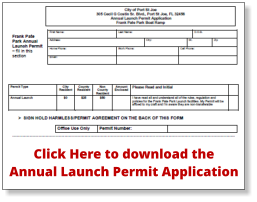 Annual parking passes are currently available for sale at the City of Port St Joe City Hall, 305 Cecil G Costin Sr. Blvd, Port St Joe, FL 32456. Additionally, annual passes are available by mail and registration forms are available online. Annual parking passes are free for City residents. Permit must be properly displayed. Follow the links below for photos of each park and trail in the system. Frank Pate, Jr. was born in Paul, (Conecuh County) Alabama. As a young man, he moved to Panama City on Labor Day weekend, 1945 and went to work for R. R. Whittington who owned the Shell Oil distributorship in Panama City. While living in Panama City he met and later married Evelyn Griner. Mr. Pate delivered kerosene and gas by truck for Mr. Whittington and worked in the service station in the summer. In the spring of 1948 he purchased Carter's Station and ran it until his lease expired. On May 15, 1950 he opened his Port St. Joe business. Elected as Mayor on September 13, 1966, he began his first term on October 1, 1966 and served through June 3, 1997. On May 11, 1999 he was re-elected and began serving his second tenure on June 1, 1999 and served until June 19, 2007. Exchanging baseball field property owned by the City for the Washington School Site owned by the Gulf County School Board. Taxes: When elected, the millage was over 15%. 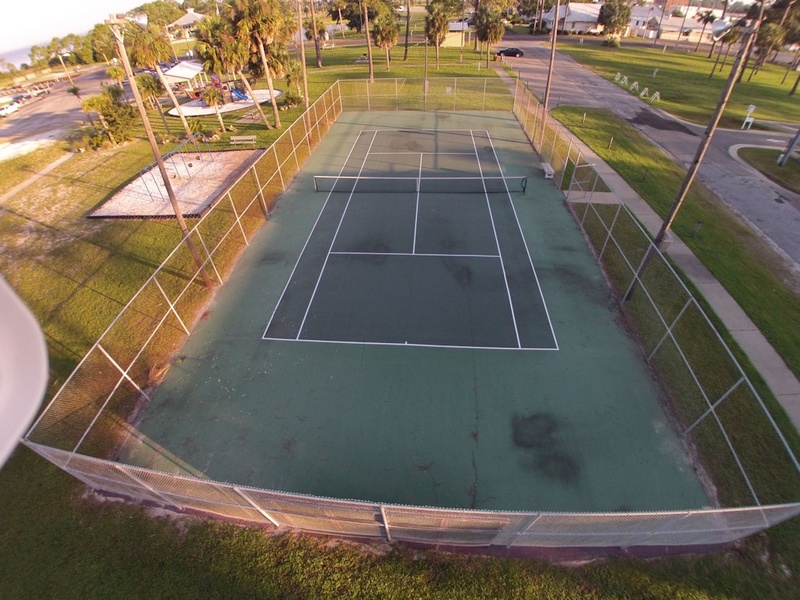 With the exception of two years the millage was either cut or remained the same. The two years of increases were held to a quarter and one-half mill, the larger caused by the closing of the paper mill. 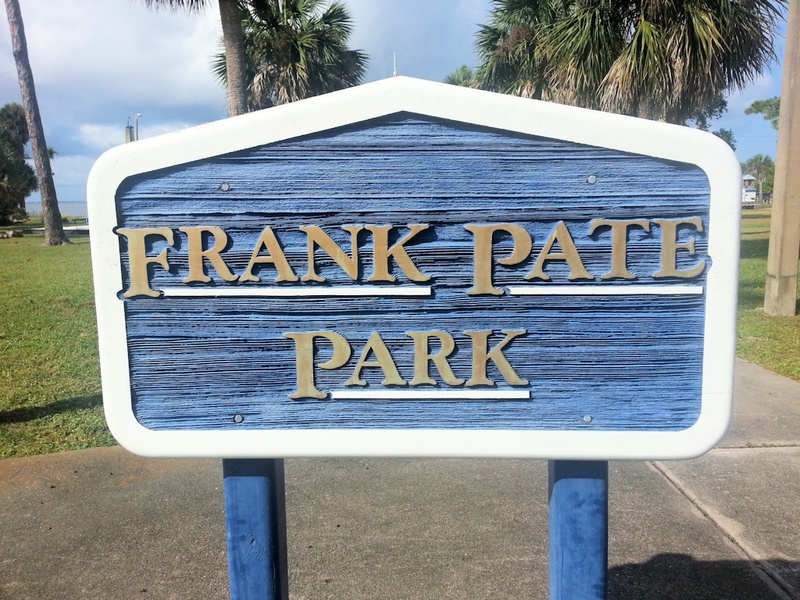 Frank Pate was a long-time member of First Baptist Church and the Rotary Club.